The Veritas NetBackup 8.0: Maintenance and Troubleshooting training course provides the IT professional with instruction on advanced Veritas NetBackup 8.0 software functionality and administrative tasks. 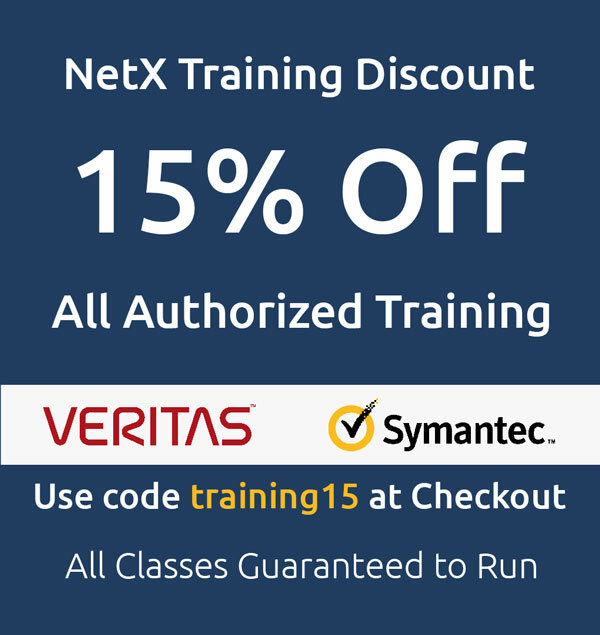 The Veritas NetBackup 8.0: Maintenance and Troubleshooting training course is a 4-day instructor-led virtual classroom which includes both lecture and hands-on experience. The Veritas NetBackup 8.0: Maintenance and Troubleshooting training course provides the IT professional with instruction on advanced Veritas NetBackup 8.0 software functionality and administrative tasks. This course covers general error detection tools and troubleshooting methodologies. Students practice solving problems related to the NetBackup database, devices, media, disk, deduplication, and networking. In addition, students study the functions of key NetBackup processes and how to enable, view, and manage the associated logs. This Symantec Veritas NetBackup course is for NetBackup administrators, operators, system engineers, and technical support personnel who want to broaden their NetBackup advanced troubleshooting knowledge and skills on a Windows or UNIX platform. This course includes practical hands-on lab exercises to apply your new skills in a virtual NetBackup domain. At the start of class students will choose between Windows-based or Linux based NetBackup servers to perform lab exercises. This training course is instructor-led by a Veritas Master Accredited Engineer.